Andrew Weil, M.D., has devoted the past thirty years to developing, practicing, and teaching others about the principles of integrative medicine and natural health. Dr. Weil combines a Harvard education and a lifetime of practicing integrative medicine to provide a unique approach to health care which encompasses body, mind, and spirit. National best-selling author, including Spontaneous Healing, 8 Weeks to Optimum Health, Eating Well for Optimum Health, The Healthy Kitchen, and Healthy Aging: Your Lifelong Guide to Physical and Spiritual Well-Being. Founder of the Weil Foundation, an organization dedicated to sustaining the vision of integrative medicine. 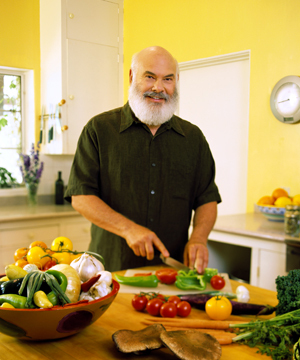 Dr. Weil donates all of his after-tax profits from product sales to the Weil Foundation.